Have you been feeling like the walls of your office are looking empty or dull? Or maybe your office space has a lot of decoration, but there’s that one piece you’re missing that could tie the whole thing together. Are you hoping to engage your customers in a welcoming way, encouraging them to spend time in your place of business? If these thoughts sound like the ones you’ve been mulling over in your head, a vinyl wall mural is the perfect match for you. At SpeedPro Imaging Mile High, we specialize in large-format bold printing for larger-than-life visuals to emphasize your brand. Add one piece right inside your front walkway and watch the increase of interest that sparks conversation between your customers and employees. 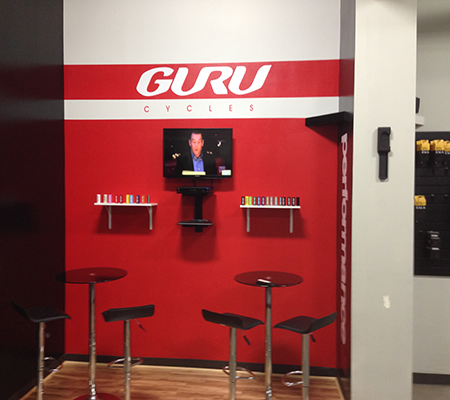 Our studio is ready to help your company or organization promote your brand and spur engagement. 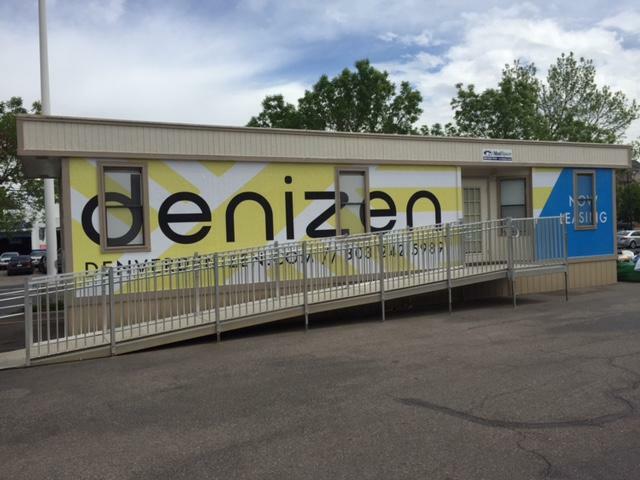 Located in Englewood, we welcome interest in brand promotion and extend our services to the Denver metro area as well as the Colorado Front Range. Visit us now to schedule your one-on-one consultation and learn more about the impact printed wall murals can have. Wall murals can create a cohesive look in your office and enhance the welcoming vibe you want to extend to your customers. They create a focused look at what your business can do and what you represent and believe in. As customers enter, walk through a hallway or sit down in your conference room, they’ll be exposed first-hand to your brand and inspired to learn more about what you can do for them. Vinyl wall murals, in clear view of potential customers, dramatically invite people inside and pique their interest throughout their visit. There will be two questions to answer at the beginning of any consultation you have with our design team. 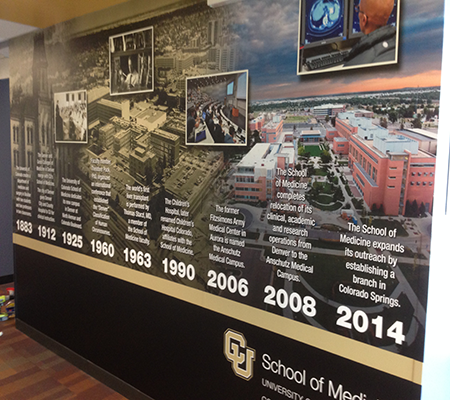 The answers allow us to customize a printed wall mural that best fits your brand and needs. First, we’ll want to identify who the mural is intended for, whether internal employees or customers abroad. Second, finding an exact location for your finished mural will ensure the biggest impact. Many times, business owners are worried about the first experience customers have with their office or building. You’ll want to ensure that the reception area and front entrance look put together and branded properly. Guests should be able to spot this new addition to your space immediately, inspired to ask questions throughout the visit. Placing a branded wall mural in a waiting area will also allow customers to fully inspect and admire your new mural as they wait for service. You may instead want to connect with your employees on another level. 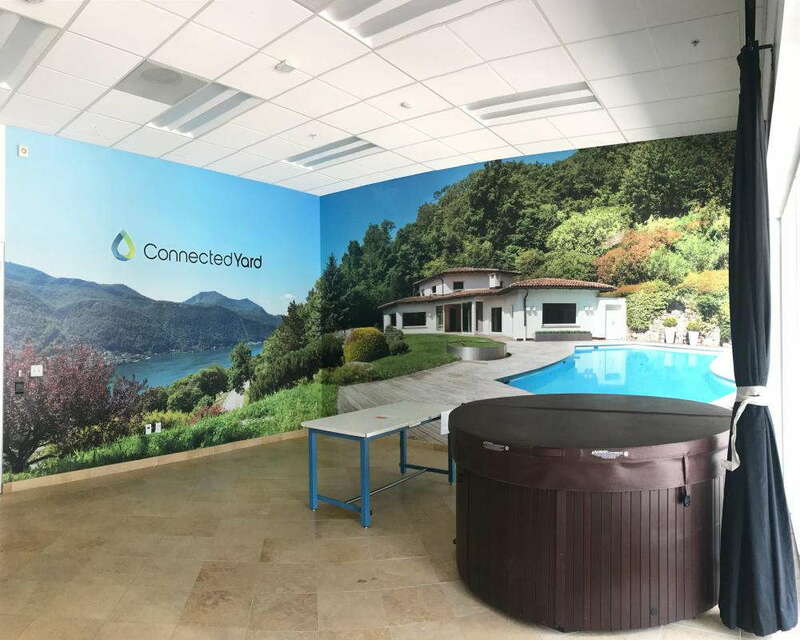 Dressing up the conference room with a wall mural advertising and displaying your company’s goals and mission statement will encourage phone calls and meetings to be specific to your company’s needs. You’ll be assured that everyone on your team is on the same page about the work they’re completing and the service customers are receiving. Keep employee morale up by brightening the atmosphere and mood of the workspace, inspiring your team throughout the workday. Large-format wall murals are the perfect branding piece for enhancing the look and impact of your office space. Call us today to set up a consultation for your new vinyl wall mural and learn the benefits of keeping a large-format graphic in view of your customers.